1.Which type of ROM can be reprogrammed with software while it is still physically installed in the computer? 2.Why are solid state drives reliable and therefore suitable to be installed in computers used in harsh industrial workplaces? *They consume less power and have no moving parts. 6.Which expansion slot would be used to install a video capture card in a new computer? 7.A technician needs to back up 4 GB of data using a single storage medium. Which medium can hold the entire 4 GB on a single disc? 8.Which type of memory is primarily used as cache memory? 9.Which type of RAM chip has the fastest clock rate but consumes the least power and generates the least heat? 12.A technician is helping a customer compare two hard drives. Which unit of measurement is used for the hard drive speed? 13.Which important feature is offered by the USB standard? *It can supply power from the computer to devices. 14.Which CPU architecture uses a small set of instructions that are designed to be executed rapidly? 15.Which type of memory is unable to have the contents modified? 17.Which technology would be best to use for drive redundancy and data protection? 19.What is the function of a capture card? 21.Which type of computer resources are direct lines to the processor used by computer components to request information from the CPU? 22. Refer to the exhibit. Which type of cable is shown in the graphic? 25.A company employee has very important data on a computer. What RAID level should be used if the criteria include that data be written and read simultaneously and that all data be duplicated using a minimum of three drives? 26.Refer to the exhibit. Based on the advertisement that is shown, what is the native resolution of this computer system? 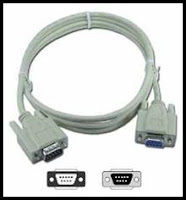 27.How many conductors are found in a SATA data cable? 28.A customer orders a new computer and specifies an internal read-write, non-volatile storage device that uses low power, has fast access to data, and is reliable. What is a suitable storage device that meets these requirements? They consume less power and have no moving parts. It can supply power from the computer to devices. 22.Refer to the exhibit. Which type of cable is shown in the graphic? 0 Response to "Cisco IT Essential v4.1 Chapter 1"